At present I'm paying 6% towards a pension scheme and my company is paying 6%. 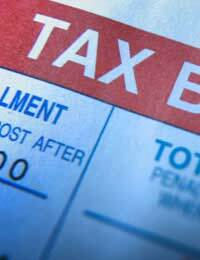 Am I OK to claim tax relief on my contributions since I'm in the higher tax bracket ? Every year, billions of pounds worth of tax allowances goes unclaimed. Generally this is because people are frequently unaware of their entitlement; furthermore, an already over-stretched HM Revenue and Customs (HMRC) is either incapable of or unwilling to give rebates and allowances of their own volition. Pension tax allowances are amongst the most important, and can minimise your tax burden by a significant amount every year; indeed, the available tax allowances are perhaps the primary reason that people contribute to pension funds rather than investing their money elsewhere. The good news is that you are indeed entitled to tax allowance on your pension contributions (see our article Pension Tax Relief in this section.) The fact that you are a higher rate taxpayer has no effect on this. However, the way in which you claim this allowance will depend on your specific circumstances. You do not mention what type of pension plan you are paying into. This is important as it will determine how you get the allowance to which you are entitled. Many employers run company pension schemes. If you are paying into this type of scheme, your employer will be making contributions from your pre-tax income. You are therefore getting the allowance by default and there is no need to take any further action. However, companies are increasingly choosing to make contributions to their employees’ Personal Pension Funds, rather than set up their own. If you and your employer are paying into a personal pension, you will be making contributions from your post-tax income. The pension operator will then recoup the tax from HMRC and put it back into your pension pot. This is only the case for basic rate tax, though; for every £8 of post-tax income you pay into the pension, you will actually end up with £10. As a higher rate taxpayer, you will have to recoup the remaining tax yourself. You can do this quite easily by making a claim direct to HMRC. This can be done by phone or in writing. Alternatively, you can apply for the allowance through your self assessment form if you are already a self assessment taxpayer. I took early retirement from Education in March 2009 and was in the higher tax bracket earning over £42,000 over the last few years. I paid into the Teachers Pension scheme and have been receiving my pension since Sept 2009. Can I assume that any tax relief was claimed by the Pension Scheme? Or do I have to make a back dated claim myself?? I have 2 part time jobs one 20 hours a week and the other is 30 a week, The second which is 30 a week is temporary I am paying more tax on the first job and the second is nornal which is not my main job, what can I do? I pay tax at 40% and I'm having trouble understanding extra amount to claim back. I pay 1920.00 pa to my pension pot and get credited 2400.00 so 480.00 is 20% tax relief and 1920 is 80% - that is (1920/80)*(100)*20% = 480.00 tax relief rec'd = 20% of 1920. When I claim the additional 20% allowable I'm told to claim another 480.00, but as a 40% taxpayer the 1920.00 I've paid is 60% of my allowable gross contribution. So I calculate (1920/60)*(100)*(40%) = 1280.00 - 480.00 rec'd = 800.00 Am I missing something?